Londoners have been taking to social media to denounce the poor state of their living conditions. Ahead of the London’s 2016 Mayoral election, the city’s residents have shared their treacherous London-renting horror stories. 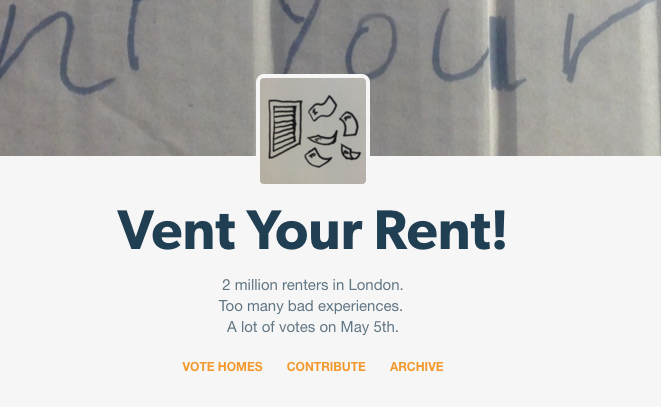 Using the #ventyourrent and #rantyourrent hashtags, urbanites have been reporting on the abysmal state of London accommodation. Ranging from moldy and damp apartments to rat, bed bug, and cockroach infestations, eye-watering rent hikes, and inhuman real estate agents, the stories cover the gambit of first-world living squalor. Some of the stories could be out of a Charles Dickens novel. London’s 2016 Mayoral elections take place May 5, 2016.